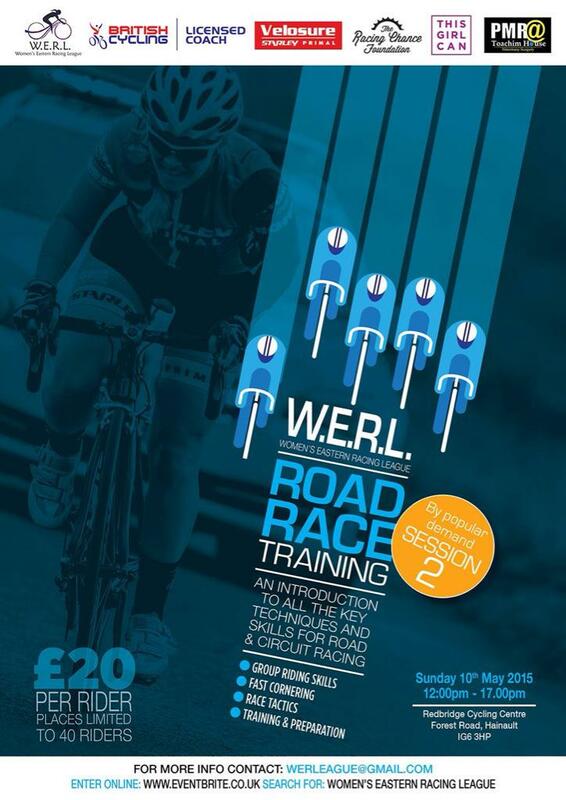 Follow London Women’s Racing for their latest training dates. Otherwise, contact us and we’ll set a date if we have enough demand. Thinking about racing, but not really sure? A bit nervous about starting? Not sure if you have the skills or you’re fast enough? or just want to improve your racing skills? 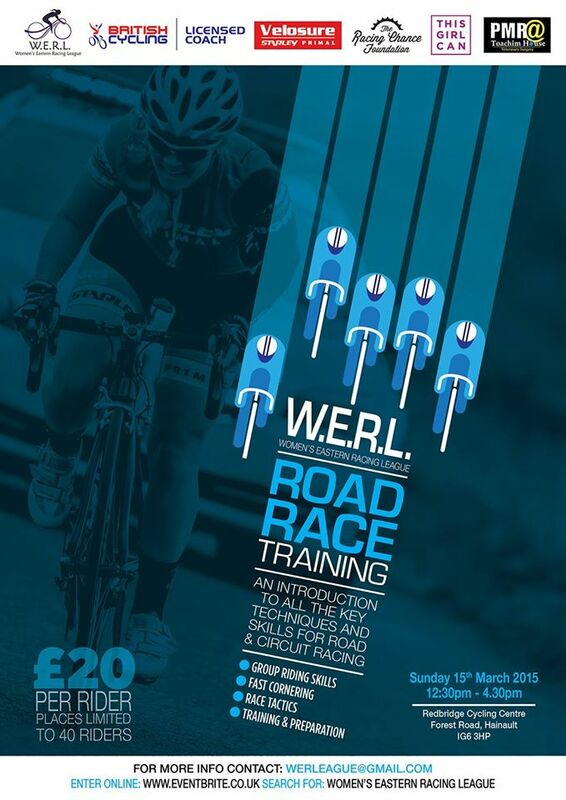 Join us for our first ever women’s race training session on 15th March. Coached by British Cycling qualified coach Huw Williams, you’ll be taken through all the skills necessary to start racing. You’ll walk/ ride away with the confidence and ability to safely take part in races, whilst also having had a rewarding and fun afternoon surrounded by like-minded women. There is no minimum speed, for this session, so don’t think you won’t be fast enough! Huw is one of the leading race training coaches and has taken hundreds of women through the steps necessary to gain the skills to race. The session will take place on 15th March 2015 at the Redbridge Cycling Centre (www.redbridgecyclingcentre.co.uk) also known as Hog Hill. We will be using the top circuit, so the infamous “Hoggenberg” will not be included. It will cost £20 + a £2.29 admin fee. Entry is strictly pre-booked only, via the EventBrite website by following the link below. The next race training session will be held again at Redbridge Cycling Centre, 12.30-16.30 on 10th May. Read on below for more information. The session will take place on 15th March 2015 at the Redbridge Cycling Centre (www.redbridgecyclingcentre.co.uk) also known as Hog Hill. We will be using the top circuit, so the infamous “Hoggenberg” will not be included. It will cost £20 + a £1.85 admin fee. Entry is strictly pre-booked only, via the EventBrite website by following the link below.